Smoke? Set Your Quit Date! Quitting smoking can be challenging. But it's worth it. Join the Great American Smokeout on November 15, 2018 and take that first step toward a healthier you! 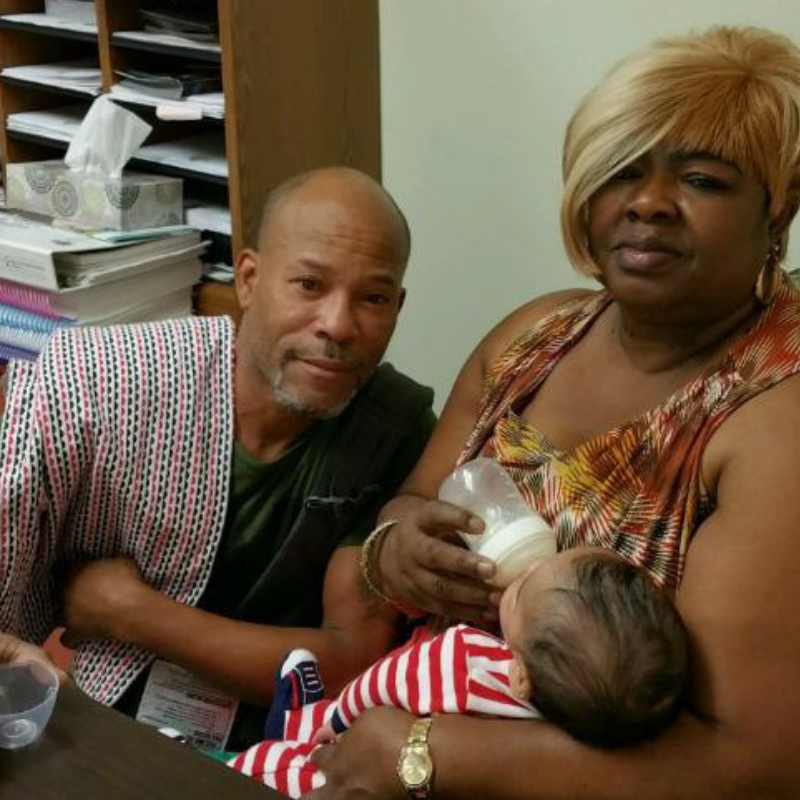 if you are pregnant - reduced risk of complications such as miscarriage, stillbirth, low birth weight, preterm birth, SIDS, certain birth defects and more! Many people are aware of what smoking does to their health, but few consider what it's doing to their wallet. Do the math at the Smoking Cost Calculator to find out how much you could save. 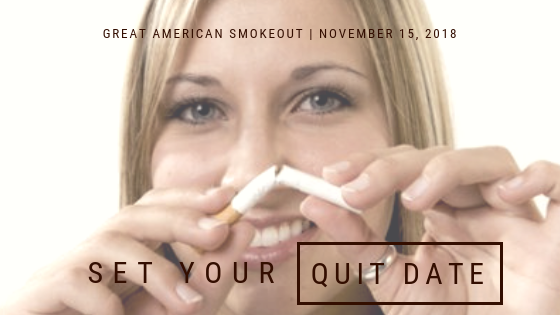 Set a quit date - choose the Great American Smokeout (November 15, 2018) or another date that works for you. Share your plan - tell family and friends your quit date and ask them for support. Plan for challenges - Cravings can be intense but usually last only 3 to 5 minutes. 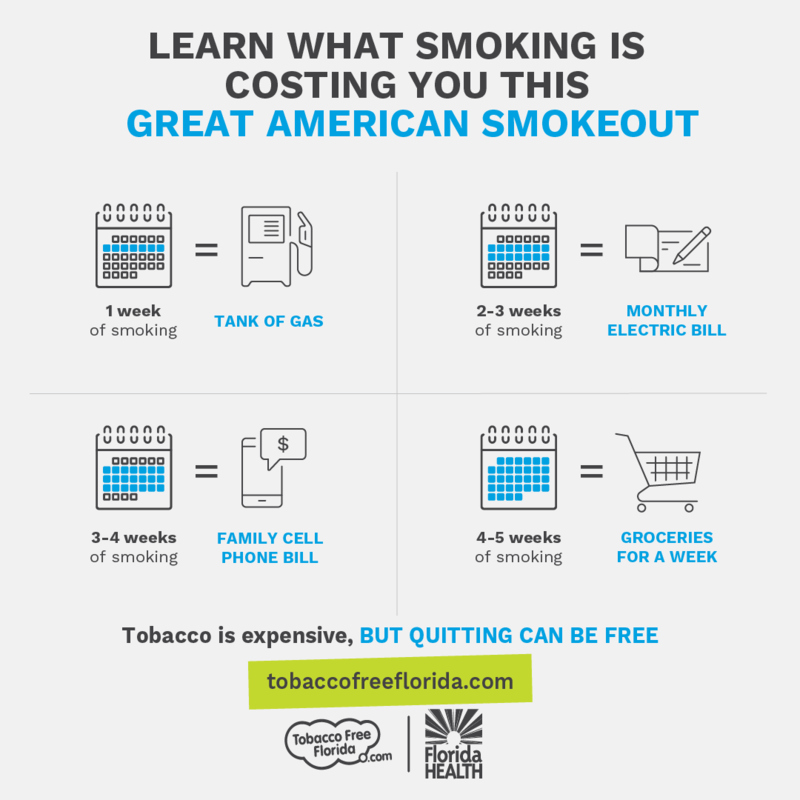 Write down ways you can cope such as exercise, drink water, call or text a friend, sign up for SmokefreeTEXT for 24/7 support on your phone or check out Tobacco Free Florida for more support options. Remove temptation - toss all your cigarettes, lighters, matches, ashtrays, vape pens, etc. Clean and freshen your car as old cigarette odors can cause cravings. Talk to your healthcare provider - Options such as nicotine patches, gum, or other approved medications can help. You can also contact Tobacco Free Florida for a FREE 2-week starter pack if medically appropriate and over 18. Pregnant or a new mom? 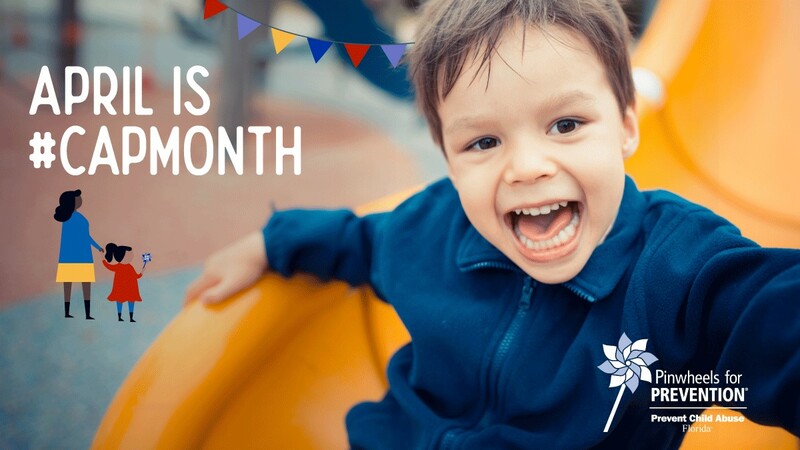 Contact Healthy Start - the Healthy Start Program can provide that extra layer of support to get you through the challenge and make sure you have plenty of tools to succeed. Call today 941-861-2905.